Although this may seem redundant, but not all PE firms use a CRM application. 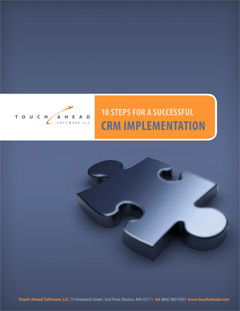 In 2009, EquityTouch surveyed 61 Private Equity firms and found that 37 % were not using a CRM solution. Implementing a CRM allows an organization to better manage its relationships, especially as the deal business is mostly based on relationships. This entry was posted in Blog, News and tagged Benefits of Social CRM, CRM Adoption, CRM Best Practices, CRM Implementation, CRM Solutions. Bookmark the permalink.